Join in on some of the Island’s great variety of fitness activities and make some new friends along the way! Play your way to fitness at Active Souls where they believe that play isn't exclusive to age, fun isn't restricted to children and health and fitness aren't restricted to the four walls of a gym! Classes include old school favourites like British Bulldogs and a bunch of others that you may remember from gym class. A variety of classes and training sessions available around the Island. All abilities are welcome. The Archery Association is recognised by IOM Sport and consists of two clubs: Isle of Man Archery Club in Greeba and Bowderyn Vannin Archery Club in Ronague. The Isle of Man Archery Club is your local target archery club on the Isle of Man and the Island’s only Archery GB affiliated Target Archery Club. Target shooting in the Isle of Man. Karma has qualified and compassionate teachers providing classes to all levels from complete beginners to practitioners at an advanced level. Karma is a World Wide Yoga Alliance accredited Yoga Studio. A social running group for novice, beginner & intermediate runners on the Island. They currently run together Tuesday evenings and Sunday mornings. All are welcome. The aim of this group is to allow as many people as possible to enjoy the pleasure of driving a pony and carriage. The group achieve their aims by allowing people with a wide range of disabilities to enjoy a physical activity, in good company, in the great outdoors and safely. The Manx Mountain Bike Club is made up of a small number of really dedicated mountain bikers who bring great things to the Isle of Man and mountain biking in particular. They are an integral part of the cycling culture of Mann and organise many cycling events. Join runners every Sunday for a free timed 5k in Nobles Park, Douglas. It is not a race against other runners, but a 5k timed run and can really be whatever you want it to be, whether that's for fun or as part of a training plan. The Club is open to all ages and abilities and covers athletics, road running, cross-country and walking. 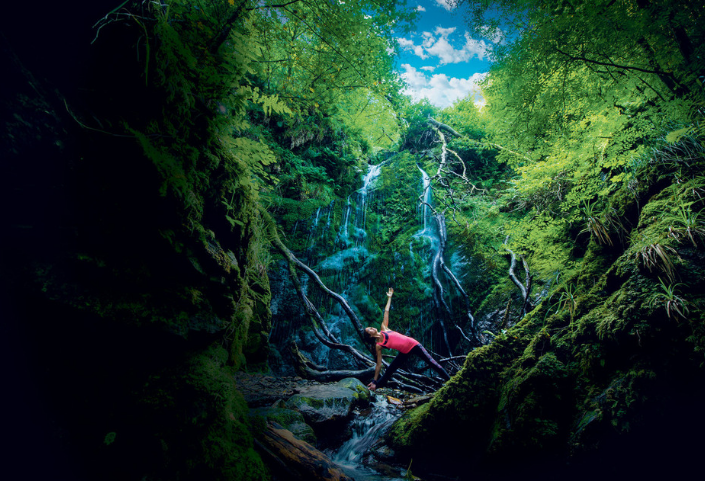 Ashtanga Yoga, Vinyasa, FIIT Yoga Flow - Insanity Instructor, Children's Yoga, Yoga accessories, Health products and overall motivation and well-being located in Douglas. A variety of wellness leisure courses are available through the University College. Warehouse Fitness is a ladies gym and fitness centre on the Isle of Man offering a full range of classes from spin to hot yoga. The Yoga Studio has a range of regular weekly yoga classes available in a range of styles - traditional Hatha and Iyengar; Ashtanga-based vinyasa; remedial and restorative. There are classes for all levels of ability.